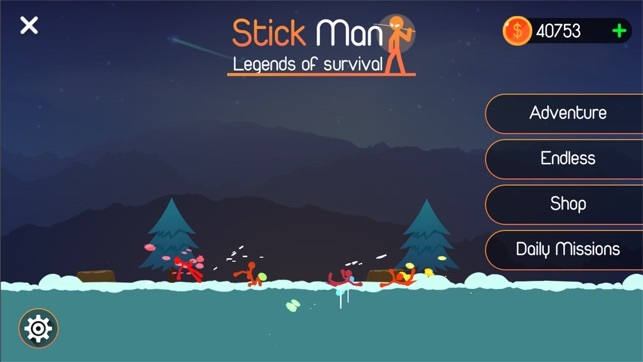 Stickfight: Legend of Survival is a physic-based stick fighting game. Fighting agains other sticks to become legend and get awesome rewards. 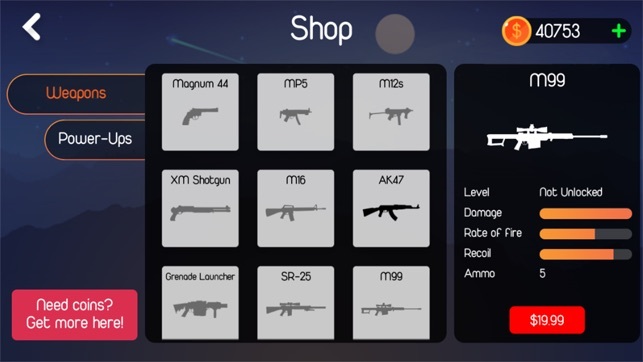 Simple like other game controller. 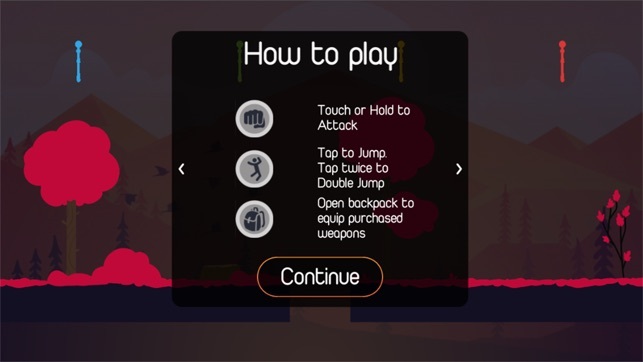 Use Left Joystick to move and aim and tap the attack or jump button to do things you want. 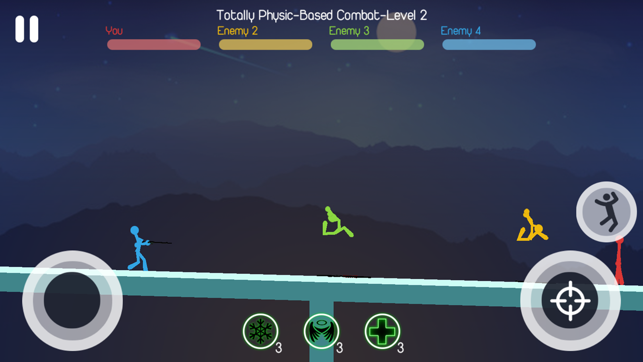 Change controls: now you can swipe left to move, tap right to attack. I think it’s a pretty fun game but a few flaws it has is in the later waves of endless and sometimes the earlier waves, the AI’s all target you. I get that in other rounds it needs to get harder but not in a way that makes it impossible like targeting. Also, I bought power ups as I had used all the free ones and the one I bought didn’t show up and I could not use them.